Hey friends! 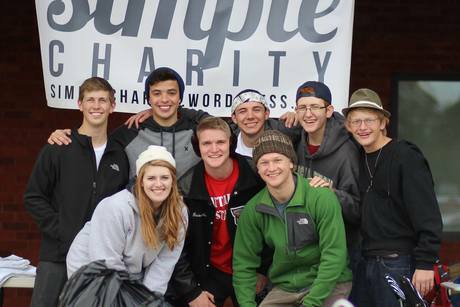 We are a group of high school and college students who want to punch global poverty in the face in Jesus's Name! We're inspired by John's call to love in deed and in truth and hope that Christians will embody that kind of love for the global poor. Give to Opportunity International on this page to help lift people out of poverty!! In spite of the challenges they face, women worldwide show inspiring resilience and determination to break out of the cycle of poverty. Studies show that when women have access to financial services, they have a significant impact on the quality of life for their families, especially their children. Your gift to Opportunity will empower women to develop new roles as income earners and community leaders. With access to transformational training, and critical financial products such as savings, loans and insurance, women in poverty can build financial security and create stability for their families, often for the first time in their lives. Opportunity operates under a model of sustainable success. Loans are granted. Loans are repaid and loaned again and again. As important, 95% of our loan clients are women and 99% of these loans are repaid in full.